Yep, these are just as amazing as they sound. And you wouldn't even know there's a secret ingredient hidden in there unless I told ya...but I won't yet. Hehe. Since it's National Peanut Butter Day, it's a given that I would create a tasty peanut-buttery recipe (or two) to celebrate. 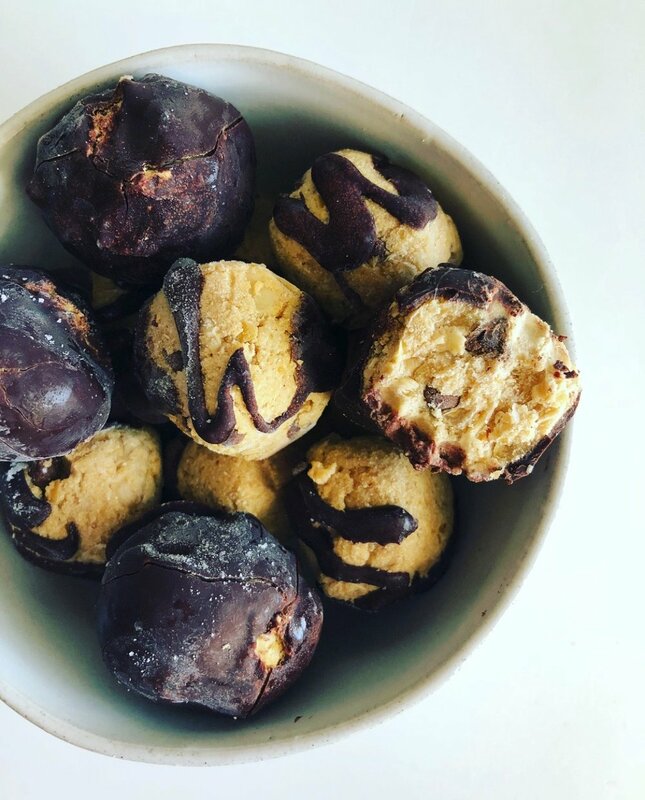 If you didn't see my Sweet Potato Proffles topped with gobs of PB Fit from this morning, you can check them out here. Yeah, you're gonna want to make those, too. But back to these bites. I am a HUGE fan of raw (egg-free) cookie dough. But most of the edible cookies doughs out there aren't gluten or dairy-free, soooo I had to create my own version that would fit all of my dietary restrictions. These check all the boxes: gluten/dairy/soy/egg-free, refined sugar-free, chocolatey, amazing texture, the perfect amount of peanut butter flavor, AND loaded with mini chocolate chip pieces. In other words, cookie dough PERFECTION. I know you can't wait to get in the kitchen and make these, so let's get to it! I believe my work here is done. [wink] Enjoy these bites, friends!